We are all guilty of it. 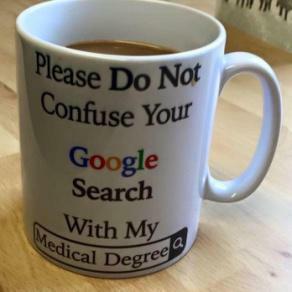 We get a new medical symptom and we immediately turn to Google. It’s an instant answer and it’s in the palm of our hand, but is it the right answer? Many times, the answer is no. Many of us have figured this out by now as there are so many general symptoms that can indicate a variety of conditions. Perhaps you’ve experienced the following with one of your patients. You know the one, the patient that walks into your office with printed pages from the internet, and a list of questions, and has already diagnosed themselves. Sound familiar? It’s great that they’ve taken the time to research and understand what ‘might’ be happening, but many times they don’t take into account other factors or medical history. So now you may need to take additional time to convince them that they do not have what they think they have. 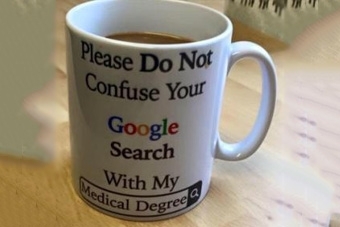 Many people have become more involved with their healthcare with easy access to medical information on the internet and Google can be a valuable resource to find that information. However, there are some downsides as well. One mistake that people make is that they simply jumped to a conclusion that may not be accurate. Some people read an article on the internet and immediately jump to conclusions based on general symptoms or someone else’s experience, which may cause unnecessary anxiety. Another issue is that they didn’t consider the source. One should take into account where the information is coming from, especially if it’s not a reputable source. Google may provide search results from a blog post by someone from several years ago that was strictly an opinion or may no longer be relevant. Patients should always ensure the information is coming from a reputable website. Having your website optimized for keywords is important to make sure your website is part of your desired search results. This way, you know your patients are getting accurate information directly from your website. Take the time to ask your happy patients to write a review online about your practice and medical care. Make sure your profiles on Healthgrades, Vitals and Google Places are accurate and linked to your website. As you know, information online is a powerful tool. Use it to your advantage.